Equities start the day lower as the market goes full blown Cobra Kai karate chop. Danny Laruso ain’t got nothing on this market, its chop chop chop all day everyday. Remember when I played down that big gain on Monday because it really didn’t mean much? Yea, there was a reason for that. All this +1%, -1%, +1.2%, -1.2% price action is interesting to write about but ultimately meaningless. So let’s talk about a market worry shall we? I asked people to give me their top “market worry” last week and “valuation” came up a lot. Which makes sense right? We’ve come a long way, it’s only natural for clients to worry about lofty prices. One of my outstanding teammates in London (frankly they are all awesome), Ross Yarrow, came up with an interesting chart that got a lot of positive feedback. 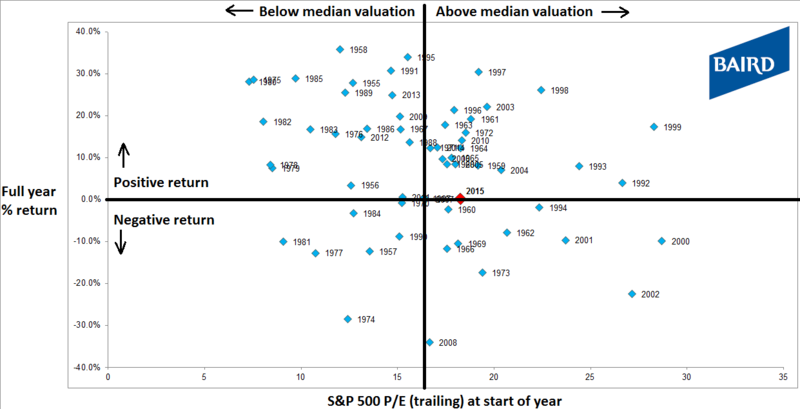 He looked at the S&P500’s trailing P/E at the start of every year since 1955 and then plotted its full year market return. Here is the chart, take a look then come back. No, you gotta go look, quit reading and go look. Anyway, more diamonds than a Fifth avenue penthouse right? As you can see, there are plenty of years where the markets trailing P/E was much higher and yet the tape still ended positive. There are also plenty of years where it ended negative, yes, but it’s not like we are sitting on a 25 P/E. We are at 18, only slightly above the median valuation (again on a trailing basis). Around this valuation about 80% of the years saw positive returns. So my friends, is valuation a huge concern? Of course it is, and it will be for as long as humans trade stocks. But if we look at trailing P/E’s for the last 60 years we can’t draw significant conclusions from it. There are plenty of years where the market is cheap and fell, expensive and rose. So, like all things market related, it’s just a piece of the puzzle, a puzzle that is constantly changing from year to year. Succinct Summation of the Day’s Events: Quiet morning and afternoon. Tepid economic data means rallies still being sold. Churn still in effect. I absolutely love these 11 sketches about money. They are brilliant in their simplicity and message. The first one should be taught to every young adult ad naseum. I also love the Onions take on “the blue line”. It’s important to laugh at ourselves every now and then, it’s healthy. Today’s look at the Efficient Market Hypothesis brings us to Sweden! Where people paid 11 SEK for something worth 1! I actually felt like I was surfing here. Factset took a look at how analyst rate companies (buy / sell / hold) with revenues that are primarily US based vs World based. Their findings might surprise you a bit. 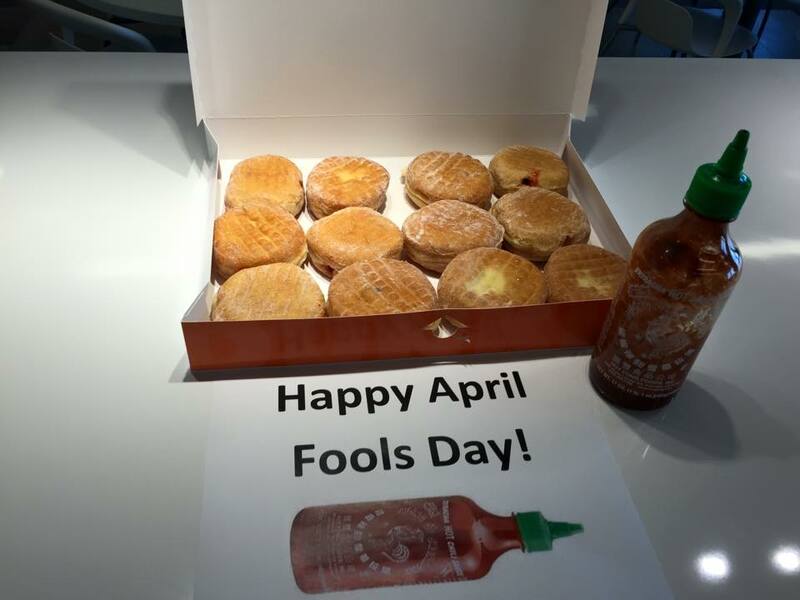 Nice roundup of April Fools joke. I love the selfie ring. MCD is gonna hike wages 10%. And this is on their secret menu. Yum. We’ll end tonight with a bungee jump. Not your average ordinary bungee jump, no, this one features one rope…for two people. Stupidity abounds!